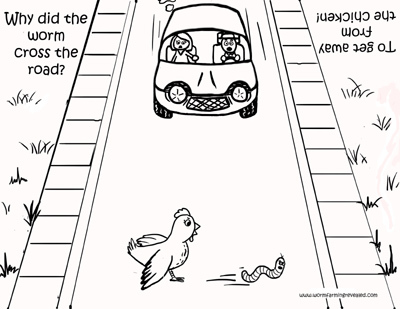 This is a free worm & chicken cross the road coloring page. On this coloring page who do you think is more scared? The worm...the chicken...or the people in the car. Print Cross the Road Coloring Page Now!